Urbanisation is an important factor driving species and biodiversity decline. 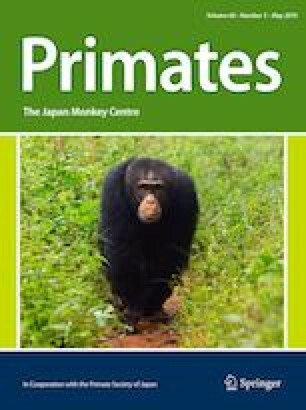 Although habitat alterations can be detrimental for species, studies have shown that many diurnal primates are able to adapt to novel environments. Little is known about the ability of nocturnal primates to survive within an urban environment. To increase our understanding on this topic, we present ad libitum observations on group movement and sociality from urban and rural populations of the African lesser bushbaby (Galago moholi) in South Africa from 2014–2018. Our data show considerable changes in the social dynamics within urban bushbaby populations. In contrast to rural individuals, which spent the majority of their activity period solitarily or in pairs, urban individuals displayed a larger degree of sociality throughout their active period, forming groups of up to ten individuals. Furthermore, urban individuals spent less time moving around, while increasing social (communication/pair-grooming), foraging and feeding behaviour. Urban individuals fed on a range of different anthropogenic and natural food sources (insects/tree gum/nectar) compared to their rural counterparts. In summary, urban bushbabies showed a large degree of behavioural plasticity, with changes in social dynamics and structure frequently observed. Such alterations in sociality, along with the ability to utilise different feeding resources, may explain the ability of the species to survive within a highly altered environment. We would like to thank Jamey Gulson and Duodane Kindler for their assistance in conducting field observations.